We’re extremely excited to showcase the UK’s very first outdoor Samsung LED installation! The digital signage project, managed completely by the ADXBA team uses Samsung’s very visible 6mm LED screens to greet each of the 9 million passengers that pass-through Gatwick Airport annually. As passengers exit the shuttle and make their way towards the North Terminal, the unmissable displays help to deliver branded welcome messages as well as directional information to improve the services and passenger experience at Gatwick. 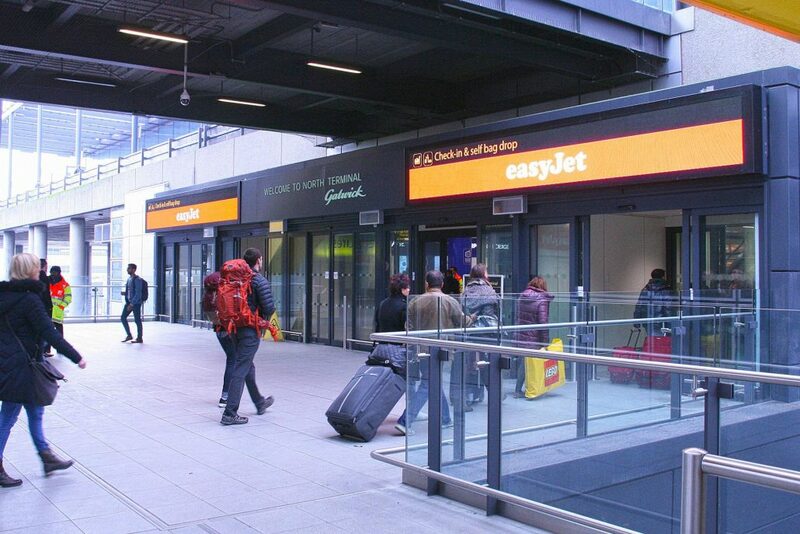 The North Terminal now houses all of the airport’s easyJet flights and so the displays are being used to deliver the airliner’s high-impact branding, whilst also guiding the flow of traffic into the correct zones of the airport terminal.